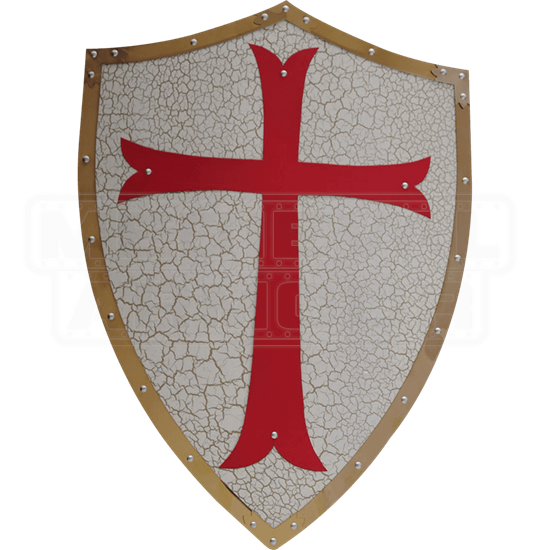 Carried by the Knights Templar, this shield measures 24 inches high by 17.5 inches wide. 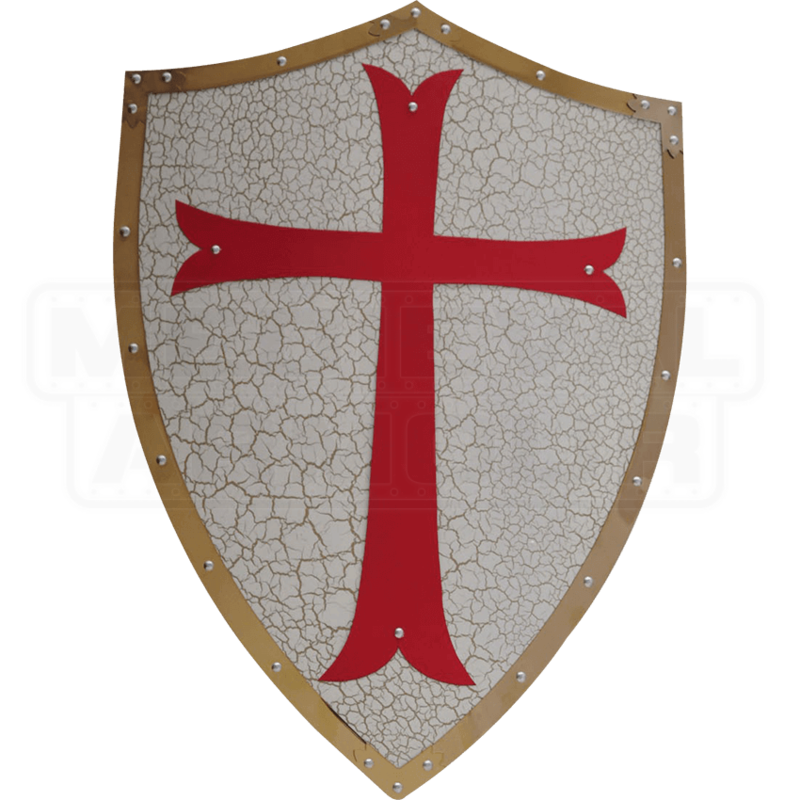 The Knights of Templar Shield is made of 20 gauge stainless steel with brass trim, is antique crackle finished in white, and bearing a symbolic red cross. The Knights of Templar Shield has an attached chain on the back for wall hanging and is complete with a back-mounted bracket that allows one or two swords to be fixed behind the shield for an outstanding wall display.